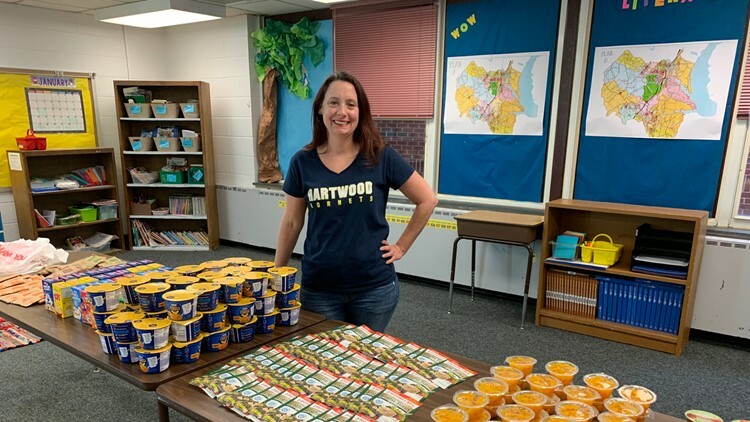 STAFFORD, Va. — Melissa Palmertree spent years volunteering at Hartwood Elementary School. Her kids went there, and she quickly fell in love with the students. She also noticed a need many of the students had. She started a program at the school called 'Blessings in a Backpack.' It's a national program she brought to Hartwood. With the help of donors, she was quickly able to put together bags of food the students could take home on the weekend. Five years later, the program has grown large enough where she feeds 50 students a weekend. "Even though there are a few things that go into the bag, it means so much to the kids in terms of what they're taking home," said Elchenko.